Discover the extraordinary and surprising works of some of Britain's unsung artists in the first major exhibition of British folk art. Steeped in tradition and often created by self-taught artists and artisans, the often humble but always remarkable objects in this exhibition include everything from ships' figureheads to quirky shop signs, Toby jugs to elaborately crafted quilts. You will find an intricate sculpture of a cockerel, made out of mutton bones by French POWs during the Napoleonic wars. There is a larger-than-life-size figure of King Alfred made out of thatch. There are examples of the mysterious âgod in a bottle'  votive offerings suspended in bottles of clear liquid  as well as naà ¯ve paintings, tin trays covered with ornate fragments of crockery and much more besides. The show exemplifies the energy, variety and idiosyncracy of British Folk Art. Folk art has often been neglected in the story of British art: by uncovering this treasure trove of folk art objects, this exhibition asks why. 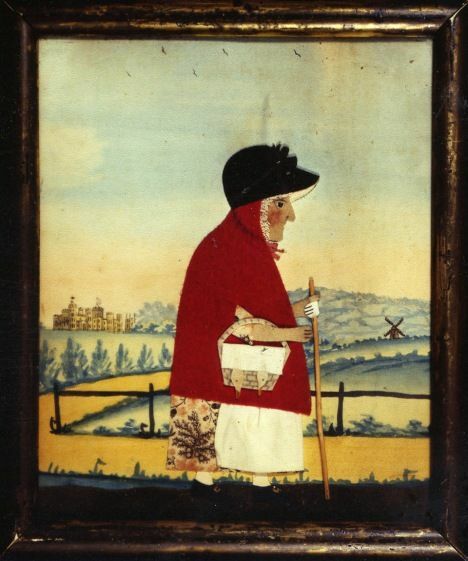 The British Folk Art exhibition will be touring to Compton Verney from 27 September 2014 to 14 December 2014 as part of Compton Verney's 10th anniversary celebrations. The exhibition is curated by Martin Myrone, Curator, Tate Britain, Clare Barlow, Assistant Curator, Tate Britain and artist Jeff McMillan.